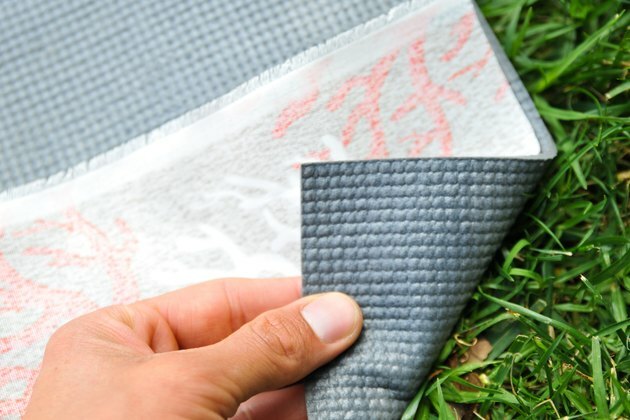 Yoga mats are made from several types of material these days, ranging from a polyvinyl chloride “plastic,” to natural rubber, biodegradable bamboo and other materials. A common problem with a new yoga mat is that is it slippery, and as you perspire during a challenging class, it can be hard to keep your feet or palms from sliding on the mat. Wash your mat with a liquid soap such as Dr.Bronner’s soap, made from Castile soap, which rinses clearly off the mat. 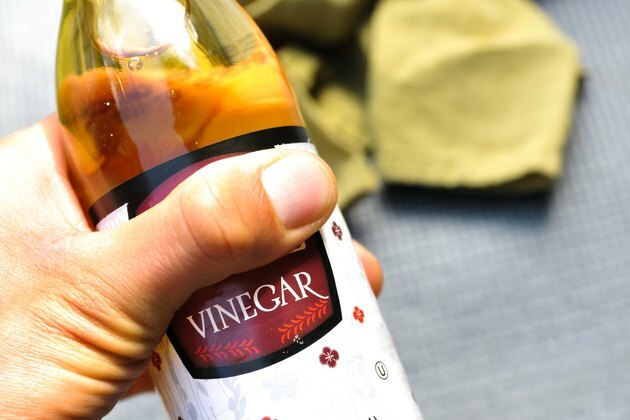 After rinsing away the soap, use diluted apple cider vinegar as a second “wash.” Rinse that off and let your yoga mat dry naturally in open air. The soap can help remove some of the chemical finishes that can be applied to yoga mats. The vinegar will make the mat “tacky” and less slick. Always wash your mat after every practice, even if you don’t sweat. Place a thin cotton yoga mat on top of it. 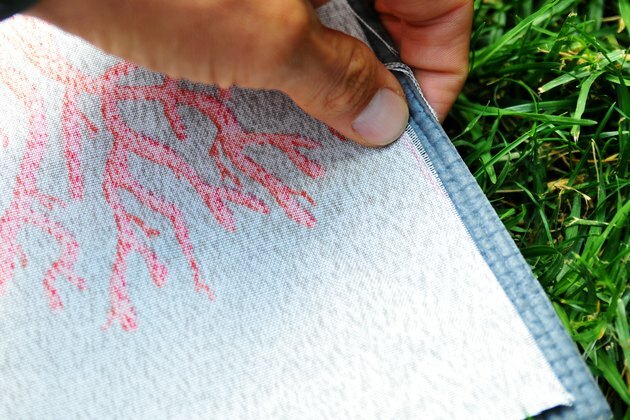 For example, in some yoga classes, it is common to use a “sticky” mat and sprinkle clean water on it and place a clean, dry cotton mat on top of it. It looks more like a cotton “tapestry” and will give you traction to practice. Both the sticky mat and cotton mat should be washed after each use. Use a mat that is double-sided: with one side that is slick and the other that is made of a cotton terry cloth. These kinds of mats can be purchased in specialty yoga supply stores or online. Spray diluted tea tree oil on the mat to kill bacteria. Tea tree oil is widely available in health food stores and online. Use a yoga towel that is designed to be used on top of the yoga mat for practice. These yoga towels can be on the pricey side as they are made from “microfiber” that is thinner and more lightweight than a bath towel. They tend to dry very quickly to reduce risk of developing odor from microbacteria growing on it. 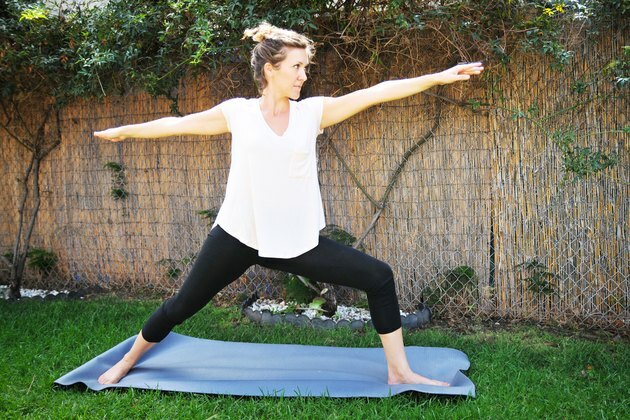 Like the cotton yoga mat, the yoga towel is used to give you traction. You will have to launder it and the sticky rubber mat after each use.